The Apple vs. Google skirmish has been hailed as the biggest battle in the tech industry. Even Eric Schmidt agrees that this is the ultimate fight the search giant is involved with. The war that began when Steve Jobs was the CEO of Apple has grown to become a never-ending race to a finish line that is nowhere to be seen. Both companies are constantly trying to come up with products that are better and smarter than the other. And, in that attempt, both have made some mistakes that negatively impact their dominance. While Android’s errors have cost them a lot of money, Apple’s mistakes have cost them a big chunk of market share, which once, it vaunted to its loyal consumers. Apple is a company that is considered to be a paragon when it comes to making quality products. Their design and their philosophy both reflect the meticulous attention its employees have paid in crafting each and every product. Whatever comes out of Cupertino, is usually considered as a benchmark in consumer satisfaction. That said, high pressure to compete with soaring tech giants like Google has forced the company to make some hasty and regretful decisions. Also, they have made terrible blunders thanks to their trademark obstinacy. Not only have these errors shook Apple’s reputation, they have also given Android a chance to shine. 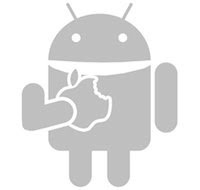 With every mistake that Apple makes, Android is getting more and more popular. Let’s take a look at some of the blunders that Apple has made in the past and how they have worked in Android’s advantage. One of the best things about Android is its openness. Developers can make any apps they want and sell them directly in the Google Play Store. Apple on the other hand, likes to play it safe by carefully auditioning each and every app before it is sold in the Apple store. Not only has this irked many developers, this has also shifted their focus on the Android platform. Selling their apps on Android is much easier for them than doing so in the Apple ecosystem. Earlier, iPhone users used to boast about the number of apps they have in their app store; however, as more and more developers flocked to Android, it became irrelevant. Apple Maps is perhaps the biggest blunder Apple has made in the recent years. The low-quality, unfinished, and bug-ridden application that came with Apple’s latest update caused a great deal of trouble to its users. This was even more problematic as, at the time of the release of the crappy Apple Maps, Google Maps is not yet available on the iOS app store. This blunder has caused a lot of problems for Apple and its customers. In fact, Australian police have discouraged the use of Apple Maps citing it as risky for day-to-day usage. Apple is known for its high-priced devices. iPhone and iPad are no exceptions there. In the tough economy consumers want something that’s cost effective and has a good quality. Android, thanks to its reasonable pricing, ticks all the checkboxes for many consumers. While the iPhone stays as a product for the upper class users, Android has managed to easily penetrate the market on both sides of the spectrum. If you go for an iPhone or an iPad, there is not much to choose from in terms of hardware. You have to stick with whatever Apple makes. Well, we all know that Apple always makes high-quality hardware; however, we all have our individual tastes and preferences. Android is a platform that lets you choose your own device. Whether you want a 7-inch tablet or an Android-powered watch, you can choose whatever Android device you want. One of the biggest disappointments when the latest iPhone was released was the lack of NFC support. Although NFC isn’t a technology that has become uber popular just yet, having it on the iPhone would have brought it head-to-head with many other Android devices that come loaded with NFC support. In fact, Google Wallet relies heavily on NFC thus bringing cardless payments to the masses.